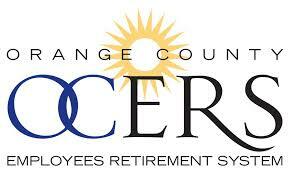 The Orange County Employees Retirement System (OCERS) was established in 1945 under the provisions of the County Employees Retirement Law of 1937. It provides more than 40,000 members, over 15,000 of which are retirees, with retirement, disability, death and cost-of-living benefits. Its guiding body, the Board of Retirement, is responsible for establishing policies, regulations and guidelines for the investment of the assets of the pension fund. OCERS issued a Request For Proposal (RFP) in June of 2016 and convened a review panel to evaluate all submitted proposals and make a final vendor selection. In July, 2016 OCERS selected Sidepath, based on factors such as overall pricing of the solution, experience with and past performance on projects of similar size and scope, and the overall fit with OCERS. Throughout the project the Sidepath worked very closely with the OCERS team to provide over-the-shoulder knowledge transfer in addition to formal project artifacts.